I started blogging back in October 2010 because I had so many books that I completely lost track of which books I had read and which books I hadn't. I also got really bad at remembering what actually happened in some books and I thought that book blogging would help. I would have to say that my favourite part of book blogging is all the great people I get to meet through my blog and theirs. I especially love the memes, like Feature & Follow Friday, because it allows me to meet new bloggers every week. My favourite books would have to be the Harry Potter series by J.K. Rowling, the Stephanie Plum series by Janet Evanovich, and the Lord of the Rings series by J.R.R. Tolkien. I am a huge fantasy/sci-fi fanatic and the Harry Potter series and the Lord of the Rings series were the ones that introduced me to the genre. They have stuck with me throughout my childhood and, even now, I still love picking them up and starting over. The Stephanie Plum series is a new venture that I actually picked up because of book blogging. Without book blogging, I would have never picked up the series and, right now, I can't picture my life without it. This is a really hard question for me to answer because there have been a lot of great things that have happened to me because of book blogging. I would have to say that the absolute BEST thing that has happened to me would be my connection with new authors and publishers who allow me advanced copies of their books for review. I love getting new books and I love that I can get a connected with authors, which may eventually give me the connections to publish my own books. I don't usually change what I read based on my mood. Rather, my enjoyment of a book varies based on my mood. Ironically, I really enjoy reading depressing, angry books when I'm in a bad mood. It makes me feel better. Gets out the aggression, I suppose. Although sometimes when I'm in a down mood, I feel more like reading funny books. When I'm happy, it's easier to read almost anything. I suppose it's more tempting to focus on happy books, but sometimes a good cry is a lot of fun. A book often changes my mood for better or worse. Things like Anna and the French Kiss put a spring in my step. I read Speak by Laurie Halse Anderson on my birthday a few years ago. Bad idea. I spent the rest of the day on the verge of tears. I agree, sometimes a good cry is what you need--which is basically why I never tire of re-watching the titanic!--but usually just reading a book I like automatically puts me in a better mood! Great Q! And I agree, if I'm in a happy mood, it's easy to read anything! Great response! I never read angry book when I'm in a bad mood. They just worsen my mood. But I do read humorous books, they make me feel Better! I'm more of needing to get away from a certain genre based on my mood rather than type (I swear there is a difference)of book. That is so interesting. I definitely think what mood I'm in changes the level of enjoyment of the book I'm reading. But I also think that depending on my mood I change what book I want to read because I know if I read the book that's next on my tbr pile and I'm not in the mood for it then I won't enjoy it. I tend to lean towards my favorites when I am in a sad or grumpy mood and even though they may make me feel it does help. I soooo agree with you on this one! Yep, nothing like some good gore or a sob story when you're in a mood. Right there with ya! I completely agree Alison! a nice answer. I love a good cry when I am in a good mood. My moods effect my reading too. If I'm in a bad mood, it's usually best if I wait for the mood to pass to write my review. Great question this week, I'm reading a lot of really great answers already! And you're absolutely right, sometimes it's nice to have a good cry! I agree! I'm drawn a bit to depressing books when I'm in a bad mood lol, but my mood also changes with the book I'm reading. I love Anna and the French Kiss and that's exactly how I felt after reading it! 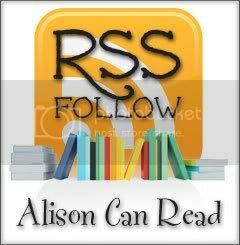 Thanks for stopping by my FF, Alison! I agree, Anna and the French Kiss left me in such a giddy happy mood, haha! And .. no I do not think I change the books according to my mood, rather books can change my mood. a good cry can be so wonderful (which is weird but true lol). Books can affect my mood as well! They have to be really good, though. If they're really good, then they can make me cry, or piss me off, or make me really happy. I agree! A good cry is sometimes all you need!! Great answer!! Thanks for hopping by!! New follower! Love your answer. I almost never like to cry and I tend to stay away from romance books no matter what mood I'm in. Paranormal romance, I can do. But the mushy romance, yeah...no, that's a sure way to make me grumpy. Oh yay! Someone who does what I do! Hope you could drop by the blog! Oh I love your answer, it's beautiful and you're right I agree with you as well. I'm the same when in a bad mood! I don't generally read b a book based on a mood, but there are times when I'm reading a book that's not bad, but I just can't get into it and I have to put it down. Lovely question this week :D Happy friday! I'm a new FF-er! Here's my FF post! I agree with you on having a good cry. Although, it doesn't take much for me. I have actually cried over a radio commercial before (which my husband finds endlessly funny), but it was REALLY sad! Great question this week! Thanks for stopping by, Alison! When I'm upset or mad, I really need a great urban fantasy...of course, since it's my drug of choice, I'll read UF anytime. I think the only time I might change a book based on mood is Christmas time or Halloween. I try to read books based on those two themes..lol. Hey Alison, Happy Friday! Hopping on through. LOL! I'm a crazy person when it comes to books. I like books that make me feel. Have a great weekend. It's my first time doing this and it's been lots of fun so far. :) Thanks for stopping by, Alison! Great answer! Pretty much the same for me! Thanks for hosting this hop yet again (it's the only reason I EVER get new followers! :D) Happy Friday! Interesting. Good for you, i'm moody as all hell. Agreed, its easy to enjoy even a average book when in a good mood :D Books also effect my mood, after reading The Road by Cormac McCarthy, I was weepy for the next 48 hours. Great answer! Anna and the French Kiss definitely puts me in a good mood every time. Old follower. Hopping through myself! :-) Thanks for stopping by, and I hate to cry. HATE IT. Ruins my day. Great answer. There are a few books I've read that have put me in a bad mood because the heroine is dumb and has no idea what self preservation means. I'm always reading no matter my mood, but yes, what type of book I want to read does change based on what I feel like I'm in the mood to read. I need to WANT to read it to actually read it, not because I HAVE to. Probably why I don't receive ARCs, lol. First your yesterday's WoW, and now this one! They both sound so me. Not the choppy writing part, but I love finding sci-fi that has a different feel to it...'not your usual dystopian' will always make me sit up and pay attention. Great review; thanks for sharing. My parents found out but didnt believe me so they want to have a confrence with my airheaded teachers and ive been sorta overwhelmed with everything so i cant do all my homework so they are gonna lie and say that i havent done any. Hello there! This is my first time to do a meme. Yours sound so interesting so I'm trying it out. Just followed you, too! :) Have a nice day!